The St. Frances Cabrini Parish Department of Religious Education (also referred to as the “Catechetical Ministry”), facilitates the lifelong process of deepening our Catholic Faith. There is an ongoing need for committed volunteers to assist with the October through May programs for students in grades K-12. All Catholics familiar with the truths of the Faith and regularly participating in parish sacramental life are encouraged to volunteer to share their gifts. To Volunteer please contact Mrs. Schenck, the Parish Director of Religious Education at 408-377-2111. For more information about Religious Education programs at St. Frances Cabrini Parish, please contact Mrs. Schenck, the Parish Director of Religious Education at 408-377-2111. NO CLASSES ON WED, FEBRUARY 20TH DUE TO WINTER BREAK. Please return to classes on Wednesday, Feb.27th. for all classes, meet in church sit with your teacher, attendance will be taken and your family can sit with you. 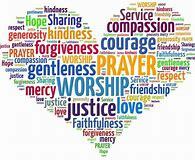 Thursday, March 14th 7:00 PM Parent Mandatory Meeting for the Sacraments of Reconciliation and FHC. Parents only. Sign in with Fr. Michael as our speaker. Saturday, May 4, Confirmation Mass 10:00 AM. Saturday, May 18, FHC Masses are 10:00 AM & noon. The Confraternity of Christian Doctrine (CCD) was mandated for every diocese and parish of the Catholic Church to provide education in the faith for the young, converts, and those otherwise unable to benefit from the parochial school system. This is accomplished as Religious Education under the immediate supervision of our Pastor and Director of Religious Education. The term “CCD” is no longer used, but referred to as either Catechetical Ministry or Religious Education. There are two Life Teen youth groups. The first is a Jr. High group (grades 7 & 8), and the second is a High School group (grades 9-12). Participants enjoy movie nights, theme social nights, service projects, retreats and more! St. Frances Cabrini Parish also holds a Life Teen Youth Mass every Saturday at 5:00 p.m. which includes our youth choir. For more information about the Youth & Life Teen program at St. Frances Cabrini Parish and upcoming youth events, please contact Mrs. Schenck, the Parish Director of Religious Education at 408-377-2111.